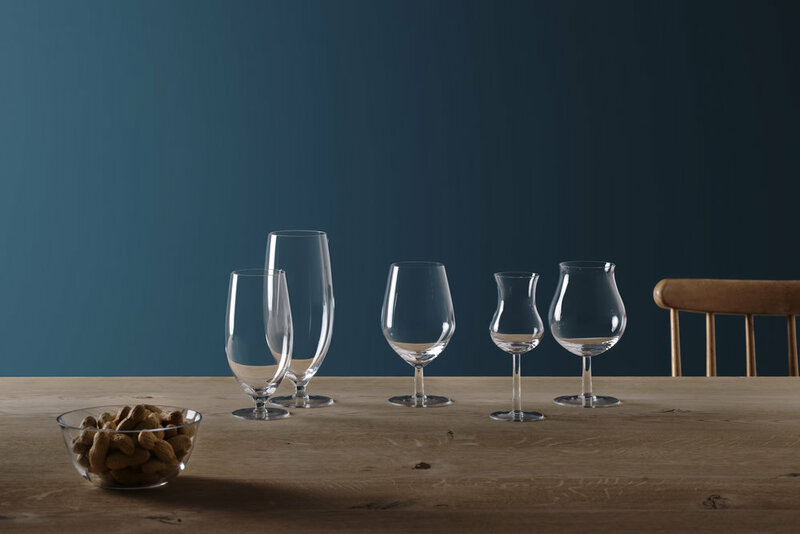 Norwegian glassworks Magnor are releasing a brand new beer and aquavit glass series called BRYGG (brew). The five handmade pieces are designed by Norwegian designer Sverre Uhnger and produced in cooperation with Arcus. The elegant design creates a solide grip while at the same time manages to maintain the right temperature of the beverage. 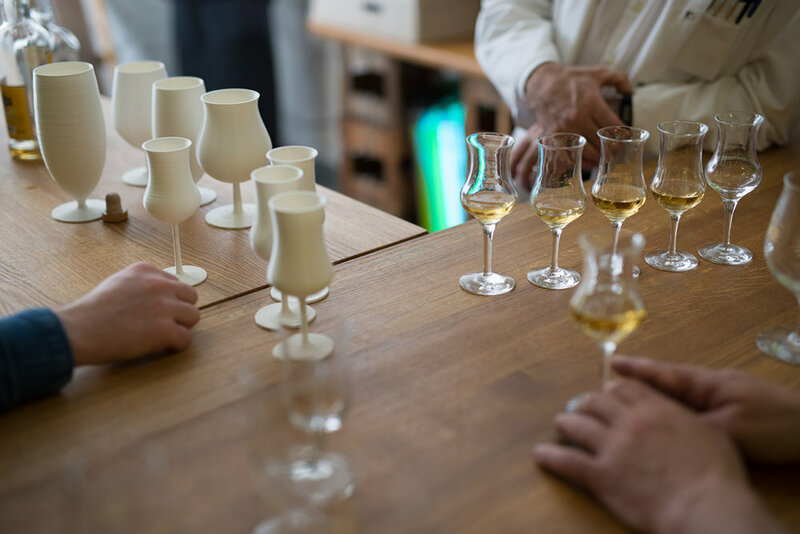 The series is carefully designed to bring out the qualities of the different types of beer and aquavit, from the light and playful tastes to the more dark and aromatic. The designer behind the new series, Sverre Uhnger, graduated from Bergen Academy of Art and Design and Aalto University in Helsinki. With a background as a cabinetmaker his focus is to create products that has a natural feel and where the qualities of the materials and the production technique is emphasized. As an owner of his own design agency he is a diligent mediator of Norwegian design and has been part of exhibits both in and outside of Norway. The series consists of BRYGG Oppland, with a shape especially developed for aquavit, BRYGG Fyldig for rich and strong beer types, BRYGG Ipa for hop based beer types like Indian Pale Ale, BRYGG Pils which is perfect for the sparkly and fresh flavored beer and BRYGG Hvete developed and designed especially for wheat beer. 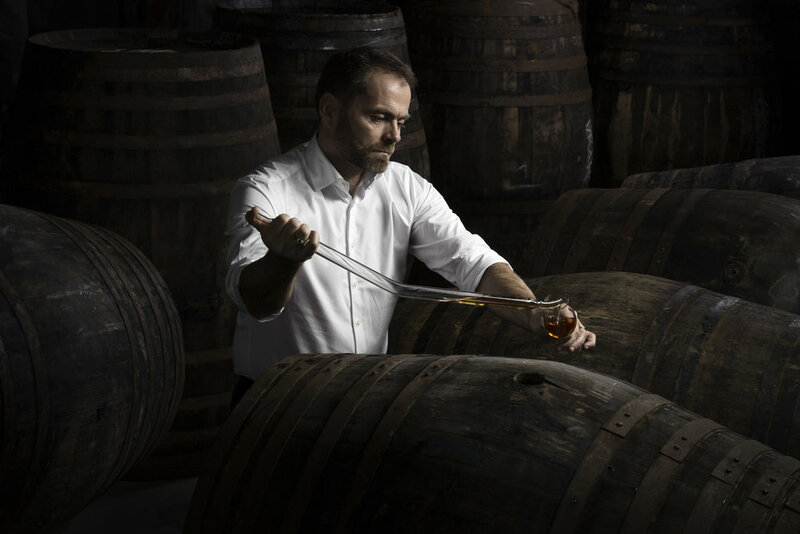 BRYGG is developed to create a glass which is elegant and at the same time takes the content of the glass into careful consideration.